I doubt you’re reading this if you don’t consider yourself at least softly skilful in some way. It’s one of those things that gets passed off as a personality trait. “Oh I’m just good with people”. But let’s be frank, refining a soft skill set is what defines recruiters. Clients will tell you “I don’t know what it is about you. You’re no different to the rest of them, really. I just like working with you”. As if there’s something magnetic about your personality that draws people towards you. Your clients like working with you because they like you. But they also trust you to get the job done. It’s tricky to pin down, but somewhere between TRUST and LIKE is where your soft skill set lives. And because it’s an intangible set of criteria, it’s not as openly rewarded in the same way that deals are. Top billers embody most of these traits. What would happen to your own billings if you embodied all of them? Motivated recruiters don’t need to be micromanaged. Even the most nit-picking Team Leader will give a Consultant a bit of breathing room if they’re fired up to deliver. Staying motivated takes constant effort. It’s a balancing act between recognising why failure’s so important and remaining clear on what success looks like in recruitment. Too often, we allow the former to detract from the latter. If you find you need a kick up the arse from time to time, reading How to Maintain a Positive Mental Attitude (4½ minutes) should sort you right out. I know, I know. Devastating. This is usually where flaws in hard skills – or the absence of soft skills – are most apparent. I’ll always advocate for inverting the game plan when it isn’t working. And there are much worse things you can do than take advice from Tim Ferriss (6 minutes). ‘Keep plugging away’ being one of them. If there’s one thing recruiters are good at, it’s putting out fires. From How to Combat Counter Offers to Bouncing Back From A Career Disaster, we try to keep you covered as best as possible at Hunted. Irritatingly, there isn’t a step by step on what to do when last minute trips to the vet mysteriously clash with final interviews. This is when being decisive is invaluable. If you need to make a difficult 50/50 decision quickly, flip a coin. Not to leave it to luck, Danish scientist Piet Hein explains in a short poem. Essentially, when a decision appears to be left to chance, you’ll know which outcome you want based on what side of the coin you hope lands face up. You’ll also know which outcome you most want to avoid, based on what side you hope lands face down. Some people like this technique because it taps into intuition. Others because it’s quick. Emotional intelligence is the art of understanding what makes people tick. Including yourself. This is arguably one of the most significant KPIs for a recruiter that wants to get on top of their billings. Or move into management. Or start their own firm. Read Why Recruiters Need a High EQ (4 minutes) to get everything you need. Being able to analyse a situation and come to an informed decision on how to behave is a vital skill, given that recruitment can be so reactionary. Looking back on what you’ve achieved or forward to what you want, and how to get there, needn’t to take hours of contemplation. Go through You’re Already Good, Here’s How to Get Better (5 minutes) for a simple way to do more of what works and less of what doesn’t. 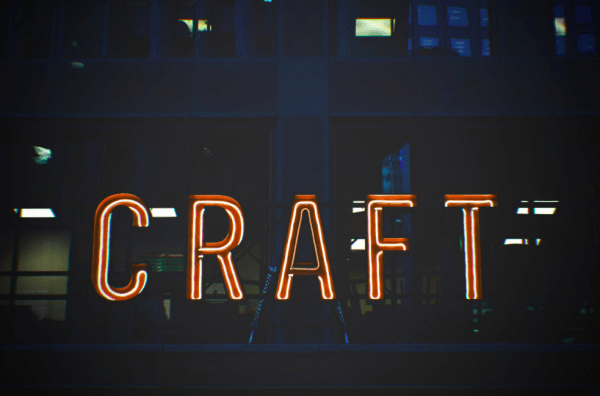 The most prominent way a recruiter can showcase their creativity is through their writing. Job adverts, marketing copy, InMails. You’re effectively signing away your brand for criticism each time you introduce words into the world. As with all skills, developing your writing properly takes time. If you could do with being pointed in the right direction, get onto our Recruiter Hacks: Recruitment Writing Special for five apps that boost the quality of your writing immediately. As in, instant improvement. No eLearning module. No lengthy set up. Just a noticeable uplift in quality from the off. If you can articulate the who, what, why and how of a situation so that others not only understand you, but relate to you as well, you can consider yourself pretty good in this area already. Have a glance over How to Be a Better Listener (5 minutes) and How to Talk So People Really Listen (6 minutes) to see if there’s any area that could use a tune up. I guarantee there’ll be at least one helpful tidbit to in each. Recruitment’s an entrepreneurial game and most of the time you’re on your own. But how well you mesh with your peers will be what you’re remembered for. Do people like working with you? Do they trust you to maintain the same professionalism and positivity that you had on your first day? Bookmark and revisit How to Make Someone Like You, In Seconds (4½ minutes) for your timely reminder on how not to be completely terrible to deal with. Do your peers trust your judgement? Or are they mortally offended at the prospect of taking guidance from you? This is How to Go From Great Biller to Great Leader (4½ minutes). You’re welcome. And it would be weird to talk about leadership and not mention Simon Sinek. His TED talk, How Great Leaders Inspire Action, is well worth the 18 minute watch when you have the time. The central lesson: “people don’t buy what you do, they buy why you do it”. When Martin Luther King Jr accepted the Nobel Peace Prize in 1964, he said: “Man must evolve for all human conflict a method which rejects revenge, aggression and retaliation”. Tough to argue with that. Which I suppose is the point. Hopefully conflict isn’t a big part of your day. Although negotiation certainly should be. How to WIN at Negotiation takes 2½ minutes to a read and works as well at managing conflicts as it does closing deals. I’ve waxed lyrical about virtual assistants before. Whatever talking AI program you’ve got, let it manage your diary. It can make a calendar event faster than you can say “schedule a drinking session with Ed Hunter tomorrow morning at 11“. Physically vocalising a future task can make you think about it more. Besides, it’s an experience in itself having a chinwag with your very own robot secretary. 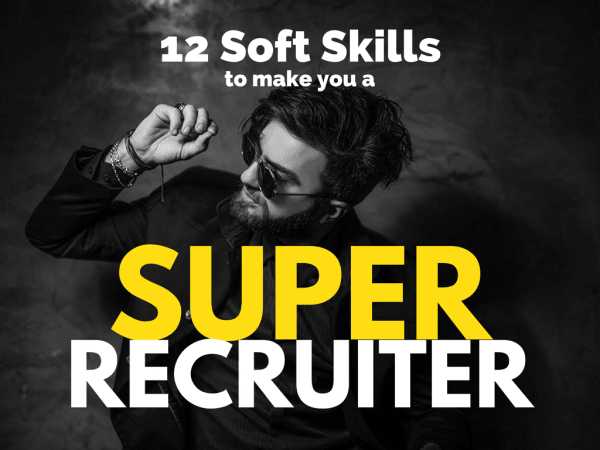 Master these soft skills and you’ll be on your way to becoming a super recruiter. Or if you’ve already achieved super hero status, merely sharpen up your laser like focus. Stop Replying to Emails. NOW.